What is an in-store bookfair? A customized book sale at our store during which members of your nonprofit organization shop on a designated day or days to raise funds. 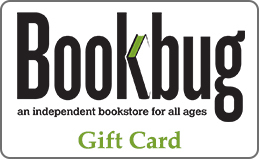 Bookbug will donate 15% of the net proceeds from the bookfair sales back to your organization. Receive an additional 5% for a total of 20% if you opt for a store credit instead of cash back (a good choice for schools and literacy organizations). Your supporters can shop our large and unique selection of children’s books, cds, toys and gifts, or come with a list of adult books to special order. The more your supporters shop, the more your organization earns! Make your bookfair even more with a storytime featuring a “special guest.” Kids of all ages as well as adults will love hearing their favorite teacher, principal, pastor, coach, or community leader read—preferably in a silly hat—Green Eggs and Ham! When is the best time to do a bookfair? Bookbug schedules bookfairs year-round to meet the needs of the area’s many wonderful and diverse organizations. 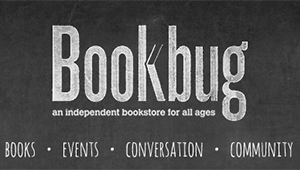 Bookbug’s knowledgeable staff will help you tailor your bookfair to accommodate your needs. We coordinate all of the in store merchandising, accounting, and most other details. (We can even help to arrange related activities at our neighboring kid-friendly businesses). All you have to do is publicize and promote the event to your supporters. Why choose to do a bookfair with Bookbug instead of a big national chain? Call us at 269-385-2847. Joanna, Nicole, or Derek will happily walk you through the process.